Reviewing an episodic game is kind of redundant, since there is little to no gameplay changes between episodes, unless Telltale decides to put actual combat mechanics into their game. So I’ll be reviewing this like a film; as such I’ll be looking at the plot and analyzing the elements presented, so there will be spoilers. Scroll down to the Conclusion for a spoiler free wrap up, but for now, lets look at Game of Thrones Episode 2: The Lost Lords. 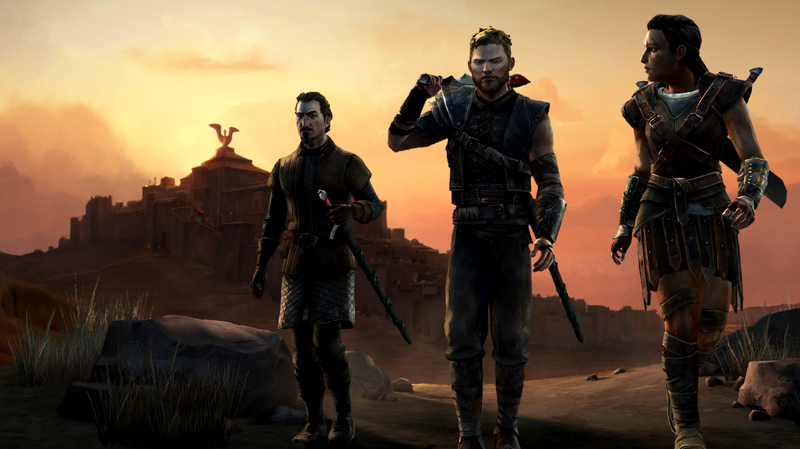 The game kicks off right away with the revelation that Rodrik Forrester survived the events of The Red Wedding. At the beginning of episode 1 Rodrik apparently died in battle, though as it turns out he was just injured and is carted back to Ironrath on a cart of dead Forrester men. As the oldest son Rodrik is made the lord of Ironrath and it’s through his eyes that we see the events unveiling there, with the Whitehill men creating discontent. Due to his injuries Rodrik is seen as the underdog and puts you in the position of asserting your confidence, which is a great way of testing the players confidence in the character and asks you to prove it. Rodrik’s main story this time revolves around the planned marriage to a family whose army could help the Forrester’s defend themselves. The outcome is based on your actions during the game, including choices from episode 1 coming back to haunt you. I was worried at first that Elaena would find Rodrik repulsive, but there is clearly feeling between them. So it feels tragic when their marriage failed due to her fathers apprehensiveness…or my incompetence, I’m still unsure on that. His story ends with an air of hope and defiance, declaring that he would bring the family back from the brink, closing off the episode on a sombre note, but with a spark of light that you can still win. 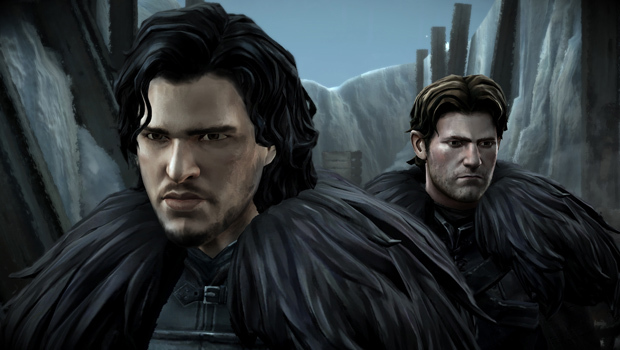 Gared’s story takes place at Castle Black, the home of The Night’s Watch from the show. His story revolves around making friends and picking your battles, which seems to have consequences in later chapters. His story seems to separate him from the main story a bit, which I’m not keen on since I feel detached from what was going on. I’m anxious to see how this ties into the Forrester’s plight, but for now his seems to be the shorter story in the episode. Mira’s adventures in Kings Landing seems to be mostly setting up the role of Sara, who chooses to confide in you and makes me fear for what choices I will have to make involving her. Thankfully I don’t have any more run ins with Cercei, though you seem to be dragged into Tyrian Lannister’s own plans which make me feel somewhat uncomfortable and wondering if the character is stringing me along and using me. Siding with him however seemed to land me the middle of an assassination attempt and after killing him to save my peasant friend, who I have dubbed coal boy for now, and that’s not a racial thing, his job is to deliver coal, which makes me VERY worried about what is to come in the cut throat world of Kings Landing. And I thought the White hills were bad; at least they are violent to your face. Finally we have Asher Forrester; the black sheep of the family currently in Essos away from the concerns of the Iron Throne, fleeing an army after his head. I like the character; I played him as a rogue like Han Solo on my play though, which fits as the game has him heading towards the role as a leader of pay swords, the universe’ equivalent of mercenaries. The game seems to have you balancing between winning favour with your uncle Malcolm and you new partner Beskha, your typical tough as nails warrior chick, in a sense putting you at odds with your new loyalties and your old family values. It’s a great moral choice that is subtle put sets up possibilities for his story in future episodes. Conclusion: Episode 2 puts the game into a place of normality, putting characters into a situation that they will likely follow for a while, whereas the first episode seemed more about shock and throwing you into a new situation. Now you become more acquainted with the normalcy of the story; in a sense this is where the real game begin’s. The Foresters have the most interesting stories, with Mira’s being my favorite so far; at first I felt like the game was trying to replicate Sansa’s story from the show, but now it’s coming into its own and puts you into a few awkward situations. Gared’s story feels the weakest, since it feels detached from everything else and prevents me from becoming invested in what’s going on. I hope it rejoins the main plot soon, but putting you at odds between your devotion to the Foresters and your comradely within the Night’s Watch shows promise for the future. 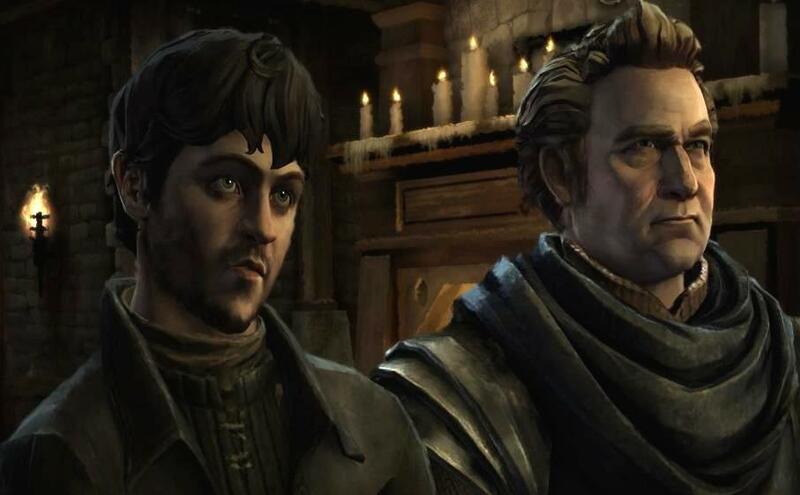 This entry was posted in Uncategorized and tagged Game of Thrones, PC, Playstation, Steam, Telltale, Xbox. Bookmark the permalink.